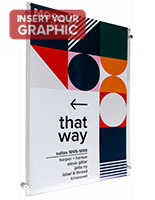 This Wall Sign has an Easy to Use Top-Loading Design! Print Holders are Available in Various Sizes on this Site! Purchase a 24" x 36" Wall Sign Now! 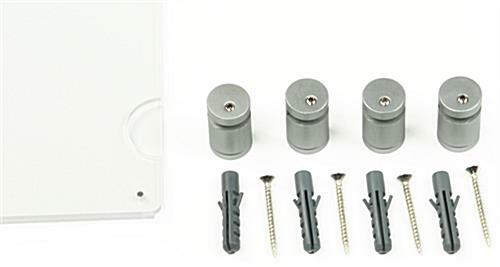 Satin silver anodized aluminum edge grip standoffs are including for wall mounting. 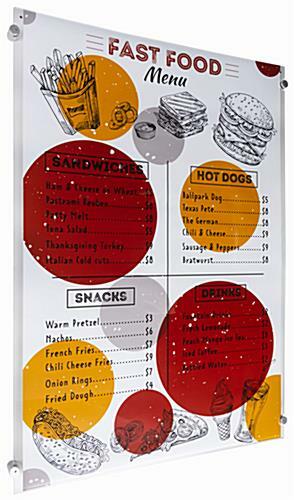 Top loading wall sign easily fits 24" x 36" posters. 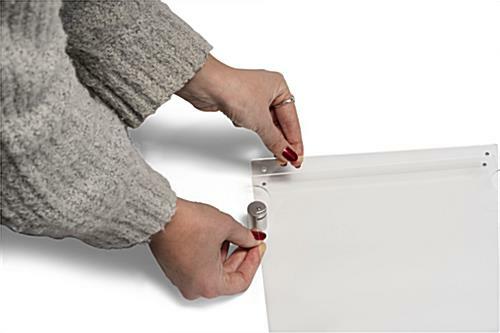 Acrylic fold-over holder has magnets to keep the top closed. This acrylic wall sign, called a standoff system, is a great point of sale tool for any type of business. 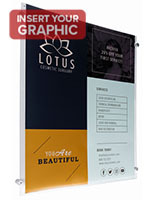 These acrylic frames can exhibit custom made flyers by consumers for advertisements, specials, menus, and more. Some of the businesses that use this wall sign are exhibition halls, gift shops, cafes, and salons. These poster holders easily mount inside a building. 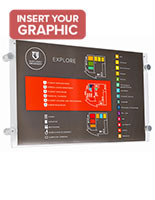 Each signage display is a wall sign that comes with mounting hardware needed for displaying. See the instructions below for specifics on how to hang the frame. Each poster holder is a wall sign that is affordable for all companies. 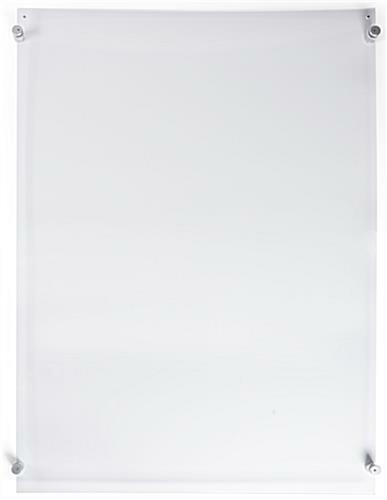 In addition, this large format display can be bought in bulk quantities at an additional savings. This acrylic frame is a wall sign for business use that works for any type of paper. Any 24" x 36" poster will fit in the panel in portrait format. This wall sign is not for landscape orientation. The top of each clear panel has (2) small magnets, one on each end to hold the unit closed. Each frame is a wall sign that is clear and is made for fast updates. Users can change out the signage without the trouble of removing the display. This promotional unit is a wall sign that is for business use; however they also look great in offices. Each display is designed for ease of use. 25.9" x 36.1" x 1.3"